Wonderful! Your friends or family are finally coming for a holiday visit. You want everything to be perfect. What can you do to make sure they feel welcome and comfortable in your home this holiday season? Start by making sure the place they'll spend the most time - the guest bedroom - is welcoming, cozy, and festive. 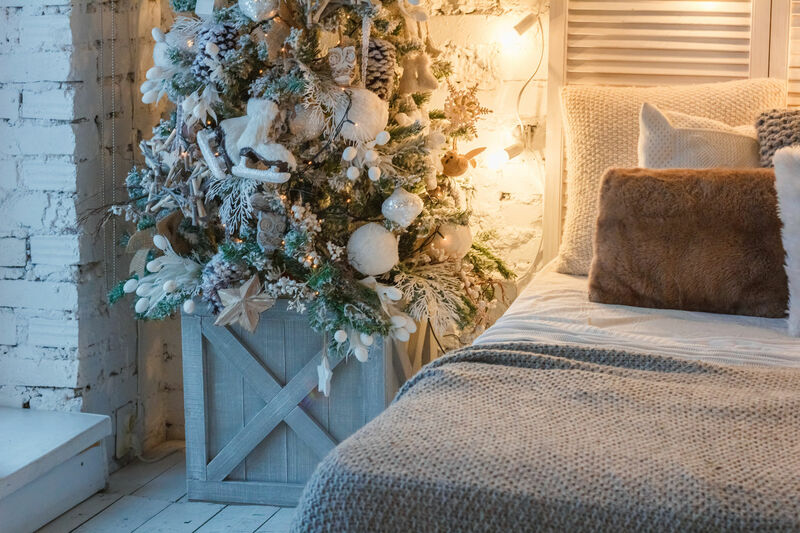 From decking the walls with twinkling fairy lights to providing cozy flannel sheets in which to settle in for a long winter's nap, we've got your holiday guest bedroom decor covered.